Take a look at what we've done for our community and schools. 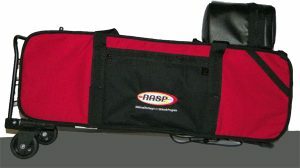 With a BCEF grant of $1300 in hand, the new Bulldog Archery Club will be able to purchase four rolling cases to transport bows. The club had been using the cardboard boxes the bows were delivered in. This club is open to any students in grades 6 through 12 and currently has 74 members. Club sponsor Mike Weiler tells BCEF that students learn focus, self-control, discipline, patience, and life lessons required to be successful in the classroom and in life. Archery is an activity that doesn’t discriminate based on popularity, athletic skill, gender, size or academic ability. It’s a different kind of team sport and many times appeals to students who otherwise do not participate in other school activities. BCEF is proud to support this innovative club. In this “Fluttering Around Town” project at the Batesville Intermediate School coordinated by third grade teacher Cindy Weisenbach, students and families will gain a deeper understanding of our community history while learning about butterflies. In the classroom, students will learn about and observe the life cycle of the butterfly and its importance in our environment. Students will work together in art to paint butterfly stakes that will be placed in the flower pots around town, as well as work with high school students painting a community mural on our entrance wall. Third graders and their families will then be invited to a special night to gather and release our butterflies into the community. 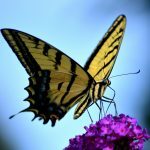 Families will then be encouraged to “flutter” around town to read the doors, learn more about Batesville’s history, shop our local businesses, and enjoy our downtown’s beauty. With $1,000 from BCEF, as well as support from the VISION fund and the City of Batesville, this project is a great example of creativity and community involvement. BMS music teacher Alec Branstetter has big plans for the sixth grade guitar classroom. 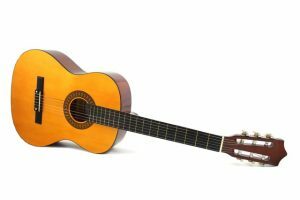 He is going to purchase new guitar hangers for more secure storage, additional stands, strings, and amplifiers to enhance the students’ musical experience, and even guitar picks with the BCEF logo on them to thank us for the $925 in grant money. Impacting 200 students per year, we are excited to support this arts grant. 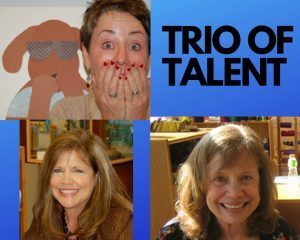 A 3-day visit from author Susan Stevens Crummel, author/illustrator Janet Stevens, and author/illustrator Dorothy Donohue will happen the week of September 24-26, 2019, thanks to an approved grant idea submitted by Anne Amrhein, BIS Media Specialist. The three women have collaborated with one another on over a dozen children’s books, many of which are bestsellers and/or award winners. The opportunity for our students to get the creative perspective from both the author and the illustrator on how the same picture book is created is a unique experience. This grant is another collaborative effort, thanks to additional funding from the Batesville Area Arts Council and the VISION Fund. According to BHS engineering and technology teacher Craig Hughes, rapid changes in technology require a regular update of tools, equipment, and raw materials, which means a change in curricular practices with the teaching and learning of fields associated with engineering, manufacturing, and STEM-related careers. 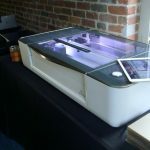 To assist BHS in its efforts to stay ahead on the tech front, BCEF awarded the school funds to help purchase a Glowforge Pro laser engraver/cutter. This device will aid in the student learning of design, prototyping, and fabrication of products for solving problems. BIS music teacher Kari Kinsey wowed our grants committee with her request for $2,431 for 30 ukuleles and necessary supplies so she could introduce the instrument in the fifth grade. Kinsey told BCEF that maintaining interest in music is difficult in this age group, which is transitioning between general music and more advance concepts. 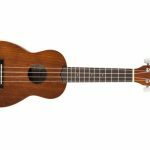 With the ukulele’s smaller size and fewer strings, students should be able to master it quickly. Introducing this instrument for the first time at BCSC, this music grant will impact between 150 and 175 students annually. BCEF awarded $30,000 to the Batesville Community School Corporation in the fall of 2018 so that the flexible learning spaces initiative could be expanded at the Batesville Intermediate School and Batesville Primary School. 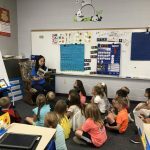 Rather than transform an entire classroom, BIS plans to put some items in each of the third grade classrooms, impacting 168 students and seven teachers. All BPS first-grade teachers also were able to choose items to help the approximately 160 students in that grade level learn better. In an effort to prevent concussions in the middle school and high school football programs, BHS football coach Evan Ulery and BCSC Athletic Director Bryan Helvie received $2,000 from BCEF for the purchase of 50 football safety caps. These caps, strapped to the outer shell of the helmet, are an extra layer of protection and will be used during any practices that involve the players wearing helmets to primarily help reduce trauma to the head. 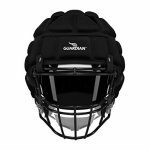 This grant will make Batesville the only school in our area with these cutting-edge safety caps, and the Batesville football program hopes to raise an additional $2,000 to match the BCEF grant, thereby doubling the grant’s impact. In a first for BCEF, a grant was awarded by BCEF for a proposal written by parents. A group of parents of the students currently in the Mandarin Chinese program — including parent Kendra Basler, who served as grant writer with input from BCSC librarian Rachael Berkemeier and media specialist Anne Amrhein — submitted a request to BCEF for additional reading and media materials that would encourage students to read and learn in the foreign language. BCEF awarded $500 toward these materials to augment this innovative program. A new type of grant was added this year, thanks to a restricted donation by Hillenbrand and Batesville Casket. Each spring, one BCSC teacher will be awarded $2500 for a STEM-related grant. The 2018 grant was awarded to BHS agriculture teacher Cassie Wallpe, who will be attending a STEM-based training event this summer in the area of Principles of Agriscience-Plants. This ten-day training will allow classroom success beyond the core standards. Using these STEM skills, Wallpe’s students will be able to perform weekly hands-on labs that will give them a distinct understanding of soil properties, uses, and deficiencies. Through a cooperative grant funded by BCEF, BHS, and the VISION Fund, students in BHS teacher Taira Lynch’s Anatomy and Physiology II class stepped out of their classroom and into the operating room in February of 2018 using interactive technology. The group used a Center of Science and Industry (COSI) program to follow a kidney transplant process. The three funding groups joined together in the spring of 2017 to pay for the innovative program, along with a new webcam and microphone to facilitate its use. In the spring of 2017, BCEF awarded a grant to BPS kindergarten teacher Kathy Gutzwiller to fund a new pilot writing program. Click here to see what she had to say about her students’ progress now that she’s been using the program for a semester. Because one day is not like the next — not to mention one student is not like the rest — BCEF recently awarded a $2,000 grant to BIS to develop a sensory lending library, enabling teachers to give students what they need to enhance concentration and learning. Teachers will be able to check out sensory and calming tools that assist in self-regulation, such as therapy balls, wiggle seats, and standing desks. BIS Dean of Students Dana Cassidy worked on the grant application, along with BIS teacher Katie Hunter, ROD Occupational Therapy Assistant Laura Nagel, and ROD Behavioral Consultant Chris Dittmer. Their hope is that they can dive deeper into instruction by meeting the core needs of their students first. A successful first-ever annual campaign conducted by the Batesville Community Education Foundation (BCEF) in the summer of 2017 has led to an initial donation of $20,000 to the Batesville Community School Corporation to purchase innovative flexible learning spaces in the public schools. This brings the BCEF giving total to BCSC, since the foundation’s inception, to more than $100,000. The annual campaign offered community members the opportunity to receive engraved pavers to be installed outside the new BHS addition in return for their donation. BCEF also received a substantial amount of other cash donations from individuals and businesses, raising the net total for this campaign to nearly $35,000. The first $20,000 donated by BCEF will supplement grant money received by the school corporation from the State of Indiana for installation of flexible learning spaces. Jackie Huber, BCSC Director of Instructional Curriculum, spearheaded this initiative for the schools. Instead of stationary desks, classrooms are outfitted with a variety of seating and desk options, which give teachers and students the ability to tailor the learning environment based on the type of instruction. Initially, one classroom at each of the four BCSC buildings is being transformed for the flexible learning space initiative. Teachers involved during this pilot phase are Paul Satchwill (BHS), Chase Mears (BMS), Eric Peetz (BIS), and Sandy Westerfeld (BPS). BPS: Inside painting, front railing painting, and stenciling the playground with games for students. BIS: New sensory garden and landscaping and power washing. BMS: Inside painting of FACS area, bathroom area, media center, band room, outside painting and power washing. BHS: New storage shelves, garden benches, cafeteria mural, painting of teachers’ lounge and one classroom. Administration Building: Wallpaper stripped in prep for painting. Thank you to all of those involved at Hillenbrand, Batesville, and BCSC for making this a successful week! Students in the BHS resource room will have additional seating choices that will enable them to more easily focus on their work through materials purchased with grant money from BCEF. Having chairs that enable movement and allow students to release extra energy will make for a more conducive learning environment for those in special education. BHS is matching part of the BCEF grant money to allow for even more materials to be purchased. This grant proposal was a group effort, collaborated on by BHS resource room staff members Randi Stirn, Nanette Foster, Sarah Jaisle, Katie Garrett, and Missy Merkel. BPS will be honing students’ writing skills at an early age, thanks to a grant awarded to teacher Kathy Gutzwiller. Students in her kindergarten classroom will learn to write in three different styles: opinion, information, and narrative writing, using the Lucy Caulkins writing program. If successful, this program could be expanded to other kindergarten classrooms in the future. BCEF decided that after 41 years, the two amplifiers used for sixth grade general music were long overdue for retirement. BMS music teacher Leon Enneking received a grant to purchase new amplifiers to replace the ones that have been in use since 1976. A grant proposal for an additional 3D printer, developed by BHS engineering and technology education teachers Craig Hughes and Tim Mauzy, was approved by BCEF. Through a collaborative funding effort involving the Joan and John Hillenbrand Vision Fund for Innovation, BCEF, and BHS, additional students in the Science, Technology, Engineering, and Mathematics (STEM) department will have the ability to use 3D-printed parts in their classes, meaning faster production time and more hands-on experience with this cutting-edge technology for our high school students. BHS science teacher Taira Lynch received funds from BCEF toward two interactive video conferencing sessions through the Center of Science and Industry for use in a new Human Anatomy and Physiology course at BHS. Through another partnership between BCEF and the Vision Fund and some funding from BHS, students will be provided an experience that goes above and beyond a regular anatomy class. A kidney transplant and an autopsy will be viewed with a group conference webcam while students perform interactive assignments. Mike Weiler, Jackie Huber, and Kyle Laker from the BHS IT Department assisted with the technological research portion of this grant. The first project from a pilot program to encourage student leaders to give BCEF input regarding potential grant areas is about to be unveiled at BHS . With the offer of a $1,000 grant from BCEF, BHS Student Council members developed two grant ideas and presented them to BCEF last spring. Of the two ideas offered, a new BHS Spirit Store was chosen by foundation members to be implemented. Since that time, business teacher Cathy Martini, Student Council advisor Charlie Raab, and BHS student Julia Hunter have been working hard to make the new store a reality. The Spirit Store will offer a variety of Bulldog-related items for sale and will be run by BHS students. While the permanent location of the store will most likely be in the new BHS addition, a temporary store will hopefully be up and running in the foreign language hallway sometime before the end of this school year. For more information on this story, check out our blog post here. With $1300 in grant money from BCEF, a group of BMS teachers is working toward bringing outdoor basketball goals back for their students. While the students currently have outside time if the weather permits, the previous basketball goals had to be removed as part of the BIS expansion. As part of the Healthy Schools Initiative, the teachers hope to get enough money to install basketball goals for the students to use to stay active and release energy. Twenty-five scientific calculators will become a permanent part of the BMS Math department, thanks to a $1100 grant from BCEF. With fewer students at this age owning their own scientific calculators, providing them at school will allow the teachers to provide instruction for general math use and testing now instead of having to delay this until high school. BCEF partnered with the Batesville Music Boosters and provided $1,000 to BMS toward new marching drums. The previous drums were hand-me-downs from BHS and were too heavy for the smaller drummers. The Music Boosters offered to pay the remaining $1900 so BMS drummers can concentrate on performing the music instead of wrestling with the weight of bulky, oversized drums. Three rooms at BPS will be modified to meet the multi-faceted needs of young learners. With a $1500 grant from BCEF, these rooms will receive more supplies so that an expanding number of students can be reached. Perhaps a student needs some time in the Minds in Motion Lab to get his or her brain organized to learn. For some students struggling with emotional needs, time spent in the more fully equipped calming rooms will provide a safe environment to allow them to have a mental and emotional break so they can return to the classroom ready to learn. In order to provide a flexible learning environment for students who prefer to stand during learning, BCEF has awarded a grant of just over $2500 to the Batesville Middle School to purchase 12 stand-up desks. One reading/language arts classroom and one math classroom per grade level will each get two stand-up desks. Studies show that providing a standing option during instructional periods can increase student engagement, memory capability, health, and overall functioning during academic periods. Through a small grant from BCEF’s Student Opportunity Fund (sponsored by the Rotary Club of Batesville), each BMS seventh grader was able to attend the Indiana Repertory Theatre’s adaptation of “A Christmas Carol” on November 16 for a slightly reduced rate. Prior to attending the theatre, the 165 students acted out the play in class. After seeing IRT’s version, the students compared and contrasted the two productions and wrote a four-paragraph essay summarizing their thoughts. The fitness mezzanine area at BMS will receive a much-needed update, thanks to a grant from BCEF. Teacher Shelly Prickel applied for a grant, citing that it had been 25 years since the last major weight machine was purchased for the school. According to Prickel, “purchasing upgraded equipment will not only improve fitness but also greatly enhance the quality of physical education provided to students overall.” The funds received from BCEF will assist BMS in transitioning their curriculum into one that is more fitness-based rather than unit-oriented. Our littlest Bulldogs will have a new classroom library, thanks in part to a new grant from BCEF! Preschool students in the Little Bulldog Academy at BPS will be able to enjoy books targeted for their age group when they arrive at school in August. This grant will help support the literacy goals of the Academy during its initial year of operation and beyond. BCEF is happy to provide financial support for our youngest learners. A $1,000 grant for costs involved in attending the prestigious Destination Imagination Global Competition was awarded by BCEF to the BHS “Fluffy Marshmallows” DI Team. The Destination Imagination program is a fun, hands-on system of learning that fosters students’ creativity, courage, and curiosity through open-ended academic challenges in the fields of STEM (science, technology, engineering and mathematics), fine arts, and service learning. Participants learn patience, flexibility, persistence, ethics, respect for others and their ideas, and the collaborative problem-solving process. BCEF is proud of the outside-the-box learning showcased by our DI team, supporting these students by helping to fund their trip to Knoxville, Tennessee. The Batesville Primary School will expand its popular gardening program, thanks to a $2,000 grant from BCEF. Plans include for the BPS garden to be an interactive, interdisciplinary learning space to extend learning beyond the classroom. Students will have the opportunity to explore vegetable/herb gardens, water conservation with the use of rain barrels, care for plants with a watering system, helping our environment through the use of a composter, a global connection with a butterfly garden, and connecting to nature through art. The garden will be complete with a pergola, trellis, and defined walkways to provide ease of gardening and exploring. One hundred and seventy-five BHS English 10 students and their teachers were able to attend the Indiana Repertory Theatre’s stage adaptation of “To Kill a Mockingbird” through a grant from BCEF. This experience allowed students the opportunity to discuss different modes of presentation and exposed them to the benefits of live theatre. A new student lounge for BHS students was completed thanks to a $2,000 grant from BCEF. Designed by BHS Project Lead the Way Civil Engineering & Architecture students, this new gathering space brings a college-type Internet café atmosphere to one section of the current media center, providing comfortable couches and café tables for students to use while they work on projects. 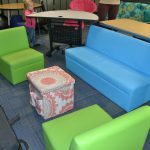 With new furniture provided by the BCEF grant and coordinating artwork produced by BHS art students through funding from the Rural Alliance for the Arts, this space brings a teen-friendly feel to the study hub of BHS. The cleaning and repair of instruments is an ongoing issue for Batesville Middle and High School. This costly process is vital to keeping the instruments in working order and BCEF was happy to be able to help with this worthy cause. BCEF was able to aid the Batesville Steel Drum with the purchase of new instruments. The Steel Band offers BHS students a chance to expand their musical interests and abilities. They have entertained crowds at the Harlem Wizards game and the Music Departments Spaghetti Dinner. Through a generous donation, BCEF sponsored SAT Preparation Courses at Ivy Tech for area high school students free of charge. This community partnership offered our students a chance to improve their applications for college admissions and scholarships. The courses consisted of weekly two-hour classes in the six weeks leading up to the three Batesville High School SAT Test dates. Working together with the Rotary Club, BCEF was able to provide additional supplies to Family and Consumer Science Teacher, Megan Spreckelson, at BMS. These supplies supplement those required for work on class projects. BCEF granted funds to purchase digital measuring devices, ergonomic hammers, layout tools, and electronics equipment to be utilized by the BHS engineering, manufacturing, and construction courses. Batesville High School offers engineering courses from Project Lead the Way – the nation’s leading provider of Science, Technology, Engineering, and Math programs used in more than 6,500 schools nationwide. Through your contributions, BCEF has been able to help support classes such as Intro to Engineering Design, Principles of Engineering, Civil Engineering and Architecture, Engineering Design and Development, and Introduction to Construction. BCEF helped to send six BCSC teachers to China for three weeks. While there, they taught classes, met the students who eventually came to Batesville to visit, and got to see Chinese culture first-hand. for close interaction with students. They were able to hear first-hand what it was like to be a small child leading the way to desegregation. In two-hour presentations tailored to the students’ age groups, Ms. Bridges provided these students with a once-in-a-lifetime chance to learn about history from the person who actually made it. BCEF has granted funds to purchase a new video camera for BHS Senior video productions. This equipment allowed for videos to made for school functions for My Big Campus, school websites and potentially ETC. The largest donation to date provided by BCEF was a $37,500 pledge over four years, including $15,000 in the first year, to BMS for the 1:1 digital initiative. The donation allowed the corporation to keep parent book bills for the computers approximately the same as they have been in recent years for books. Every student in grades 6 – 12 in the BCSC currently has a laptop computer, enabling our students the best preparation for the technical world in which they will live and work. Donations made to the Weekend Backpack program go to send a backpack home with kids in need who receive free and reduced lunch during the week from BPS and BIS, so they can continue to receive healthy meals over the weekend. Former BHS student Emily Helvie started the program as an independent study project and it has grown to the point that it is now housed by BCEF. Donations to BCEF can be designated for the Weekend Backpack Program. The Weekend Backpack program has received a $5,000 donation from Main Source Bank as well as donations from CVS. BCEF funded a portion of former superitendent Dr. Roberts’ trip to China. Dr. Roberts visited China as part of an Indiana delegation of school superintendents to observe and learn about the Chinese educational system, as well as to teach them about ours. Additionally, it helped to pave the way for a possible sister school for BHS in China. Mrs. Weisenbach’s class created “BIS Paw Print,” a newspaper written by third graders for third graders. BCEF supplied the funds for the supplies needed for the newspaper. This project gave kids a chance to see a real-world application for writing and included original stories, BIS news, surveys, and quotes from students and staff. Hillenbrand, Inc, presented BCEF with a $5,000 check to be used to purchase a new piece of equipment for the Advanced Manufacturing Logistics students. BHS has received recognition from the governor for leading the way in partnering with local businesses such as Hillenbrand, Inc. and Batesville Tool and Die in innovative internships and classes at Ivy Tech, enabling our students to be prepared for Indiana’s manufacturing environment of today and tomorrow. New Lego Mindstorm EV3 kits purchased through a grant from BCEF were used for the first time at a Fall Intercession at BIS. These kits allow for engaging, hands-on, engineering, and computer-based problem-solving. The BCEF partnered with local dentists from Children’s Dental Care and Batesvile Dental and the Ripley County Community Foundation to provide funds for the Indiana School of Dentistry Fluoride Rinse Program. BPS children are given fluoride to rinse with once week helping to reduce cavities by up to 30%. Each student in Mrs. Pinckley’s 5th grade class wrote and illustrated their own books. With funds from a BCEF grant, the students were able to each receive a professionally bound copy of their work. BCEF has granted funds to BCSC for billboards to advertise and promote the BCSC schools. BCEF donated money for science kits for 4th grade in order to meet changing science curriculum standards, which called for additional hands-on learning. BCEF provided funds for the purchase of kits to keep teachers from dipping into their own pockets for these supplies.